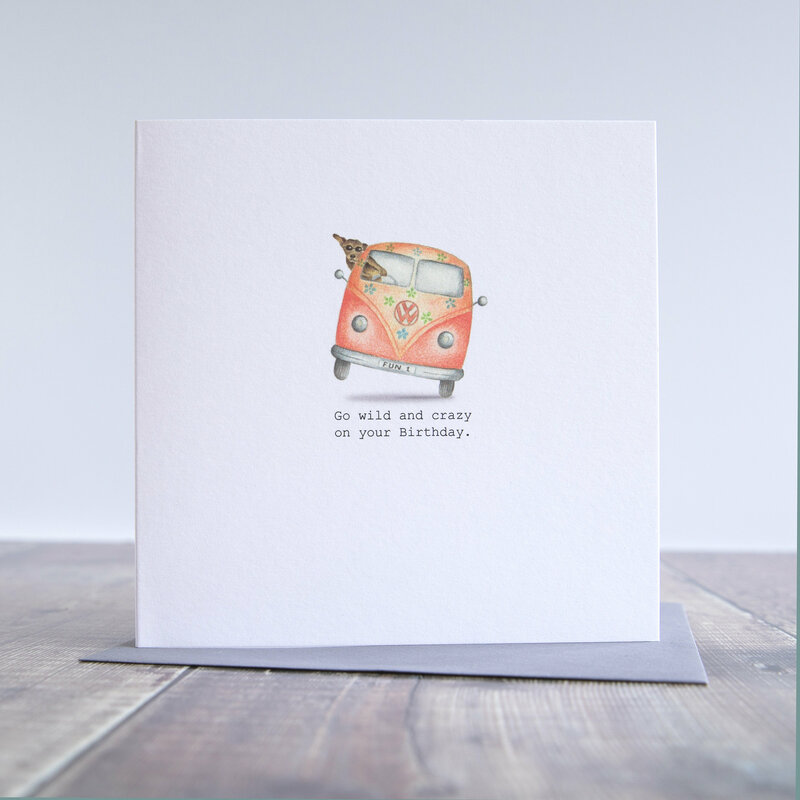 Funny VW camper van card. 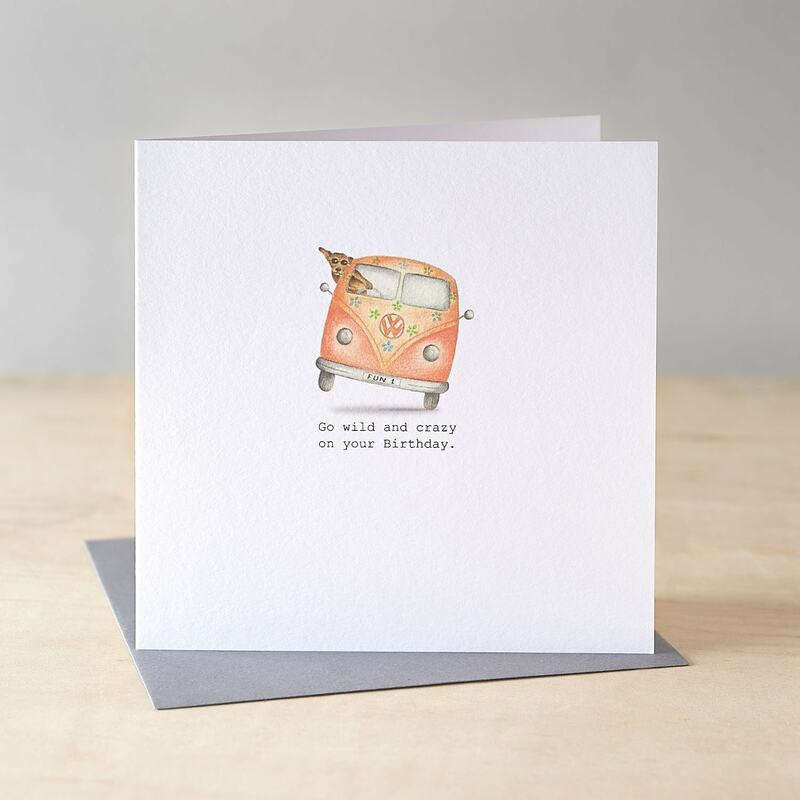 A funny birthday card featuring a crazy dog driving a VW camper van ( could happen ). It is wrapped in a protective cello wrap envelope and sent by first class post in a hard backed envelope. Fab little card. Really lovely lady who sent the card out to me really quickly, so that I had time to send it toy Mum's doggo for her birthday 😍 Definitely be back to purchase again. Thanks so much. 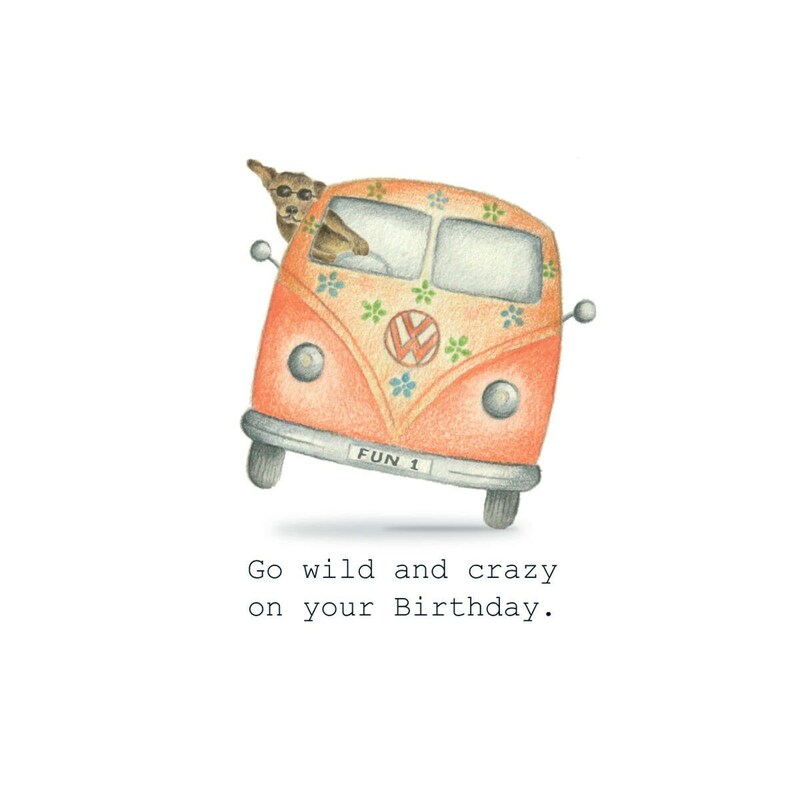 Wonderful birthday card, especially when you have a dog and want to get a caravan. It was my husband's favorite card this year. This artist is amazing!